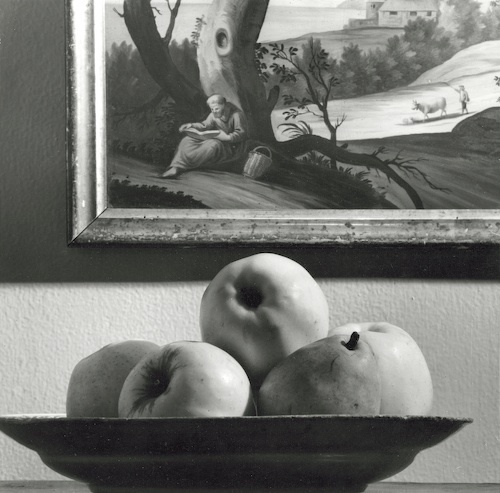 André Kertész. It can be found on p. 56 of his book On Reading (reissued 2008) and is titled “André Jammes, Paris. November 4, 1963”. 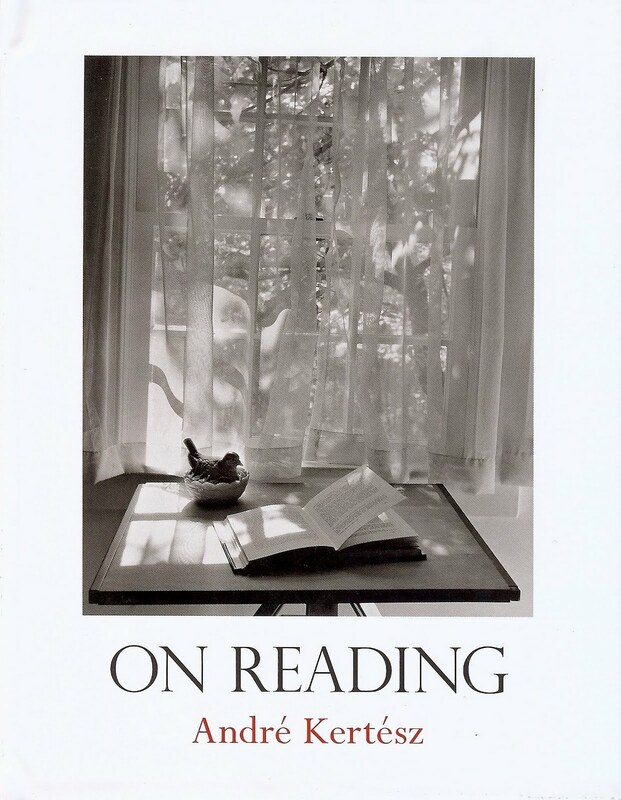 Even better, I now have in my hands my own copy of W.W. Norton’s reissue of On Reading. It is a gem of a book. Smaller format than I had expected, but the images are wonderful. Some of you in London may have been lucky enough to see an exhibit of this work as Reading Matters writes about here. Check out this site to see more of the images or better yet plan an exhibition. Here is the beat-up old bookmark in question. Here are some of the other images from On Reading. Glad you enjoy the book! I gave a copy to a friend for Christmas, she loved it as well. Impressive-I am glad your mystery is solved! Happy New Year! Happy reading in 2010! So…you make a beautiful fire. You make glorious scones and tea. And you like stacks of books everywhere. You are all set for a great 2010…I hope it snows so that you can stay inside, eat sandwiches, take photos, bring in logs, and have a perfect winter day with books and more books. 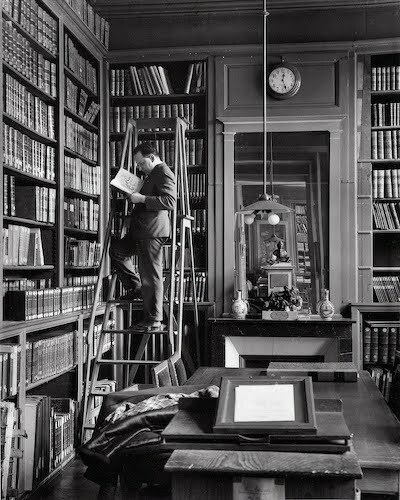 LOVE the Paris shot and all those books! I get quite sentimental about bookmarks, glad you found out more about yours. Great story. And that is one of my favorite little books. I have an older one and have considered buying the re-release. My favorite photo is the little ballerinas reading off stage. Happy new year to you and yours! Lethe: It is a perfect gift isn't it? MDC: Even more than loving the book, just the fact that the mystery was solved so easily is pretty cool. Diane: Thanks for the great comments. My husband didn't believe me when I told him The Style Saloniste commented on my blog. Your blog and books (!) are wonderful. Darlene: Me too. Oddly enough I find that the ones I am most attached to are free ones that I picked up over the years. Either because of the image, or more usually, the association of where I got the bookmark from. My faves are pretty much all from free ones from bookstores. Frances: The ballerina picture is awfully sweet. The variety of people he photographed is great.